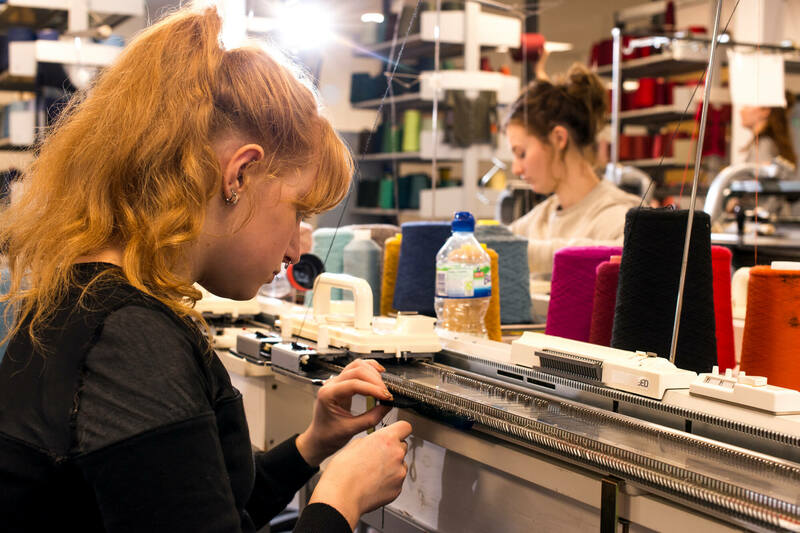 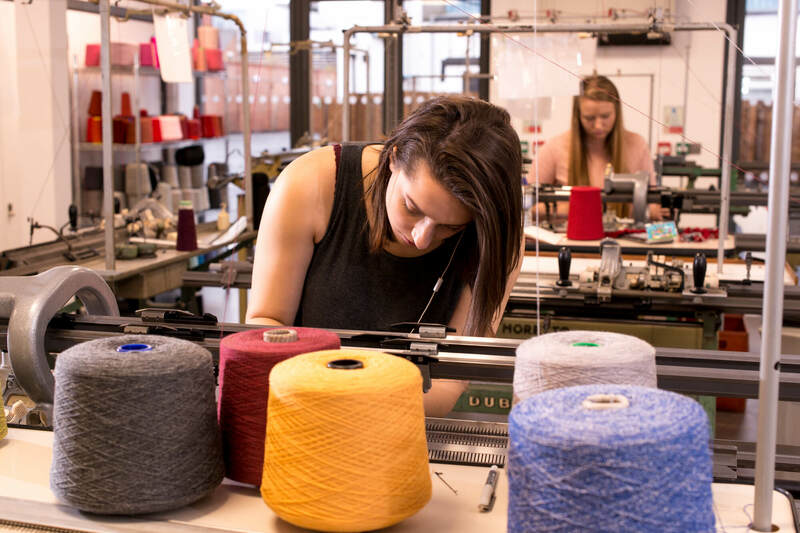 Our Chandos Pole Street building contains new specialist facilities for Fashion and Textiles. 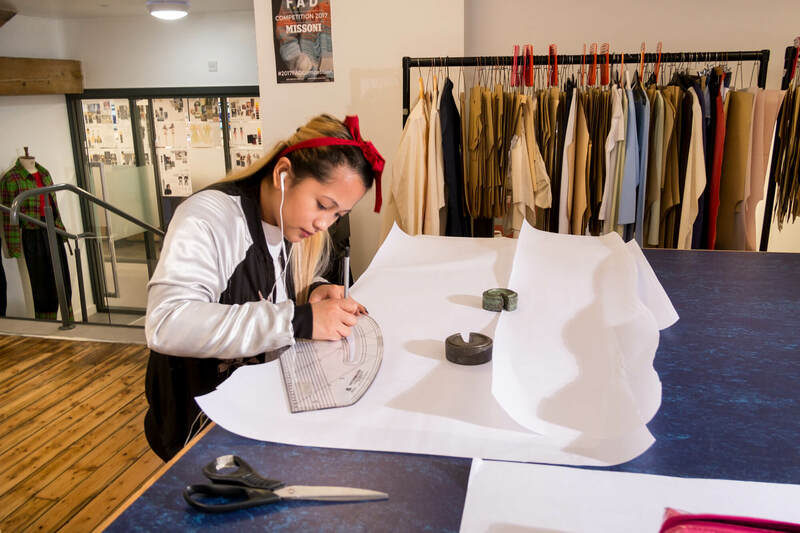 These include light and airy studio spaces as well industry-standard equipment and design facilities. 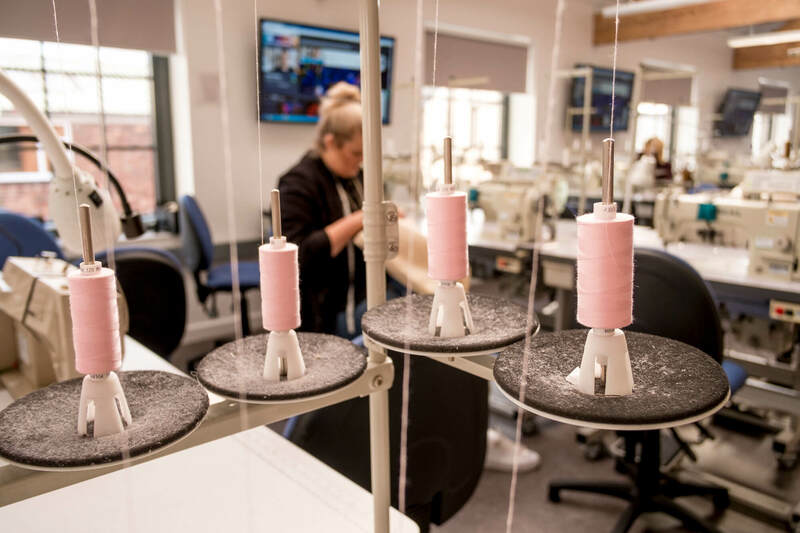 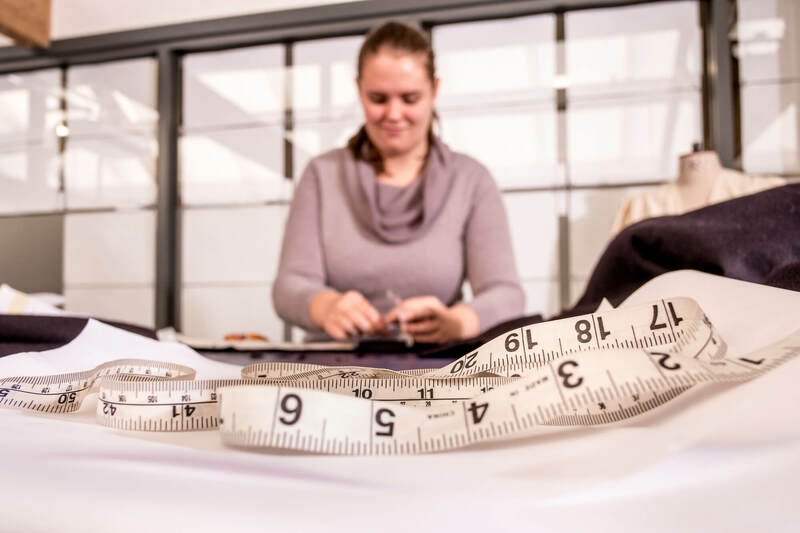 You can use our industry-standard computer-aided design and computer-aided manufacturing (CAD/CAM) programs as well as the digital equipment at our Britannia Mill site for our three specialist textiles areas: knit, print and weave. 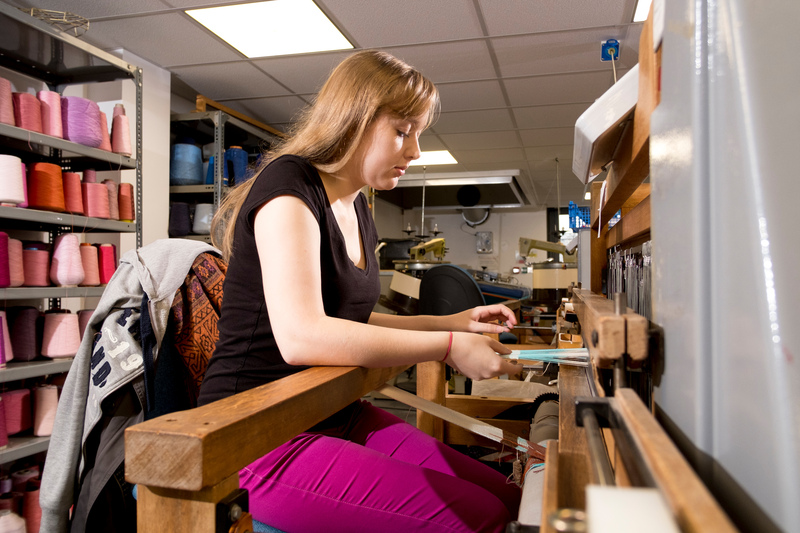 We also have a new dye lab. 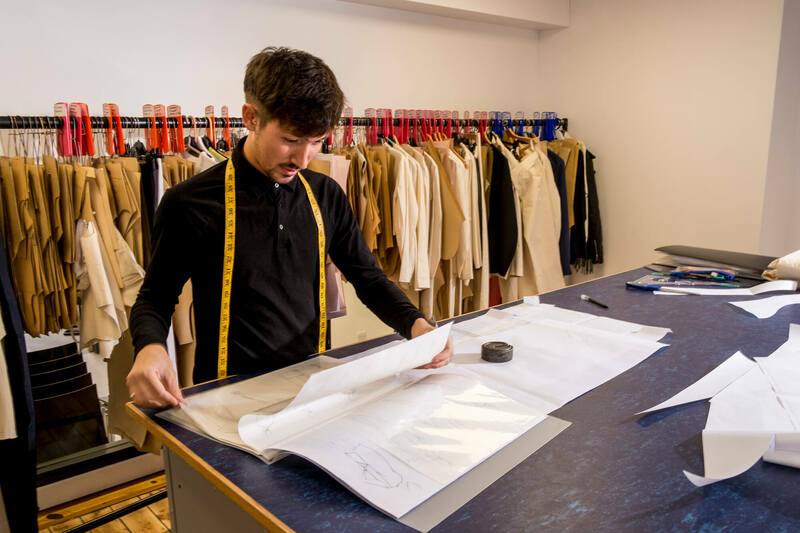 Our Chandos Pole Street building opened in September 2016 and covers 1,100 square metres of space. 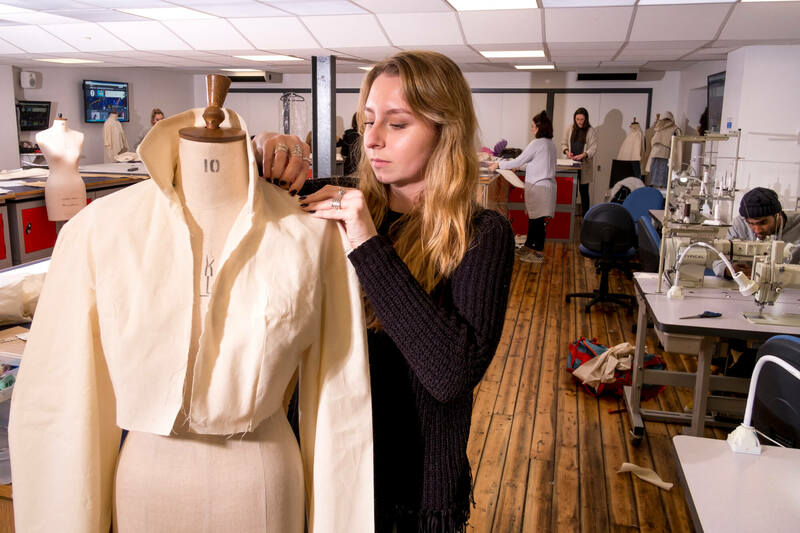 As well as open plan studios and industrial textiles (weave and knit) spaces, Chandos Pole Street also has tutorial and breakout areas and technical and academic staff offices.